Australian South Sea Islanders today consider our ancestors to have been the Sugar Slaves. 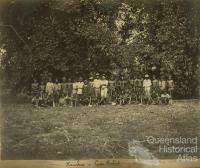 South Sea Islanders, transported to Australia as a cheap source of labour, worked in the development and establishment of the new Queensland sugar industry. They came predominately from Vanuatu and the Solomon Islands; but also New Caledonia, Fiji, Gilbert Islands, New Ireland, and Milne Bay Provinces of Papua New Guinea. 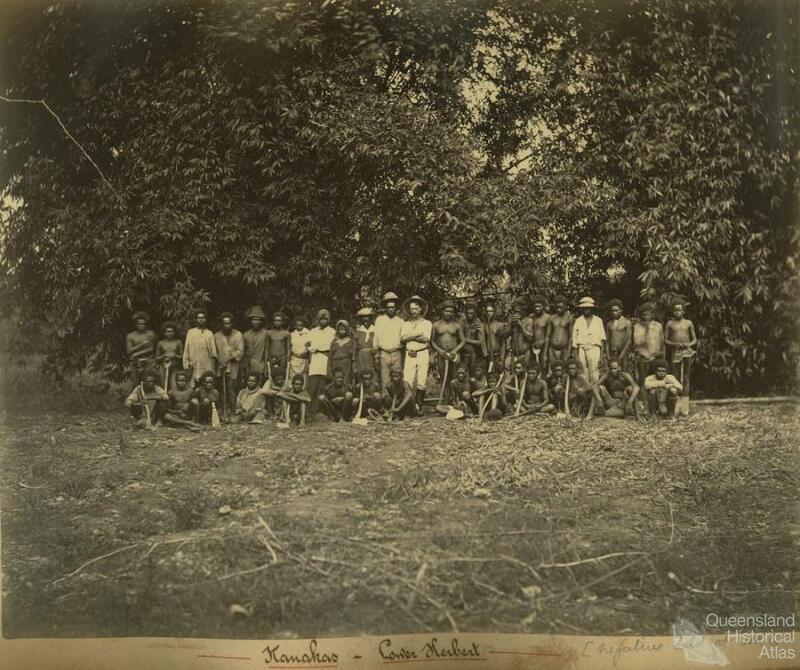 These peoples were collectively referred to time Kanakas, but we prefer to be called South Sea Islanders as the word 'kanaka' is considered derogatory by Islander communities in the Pacific and Australia. 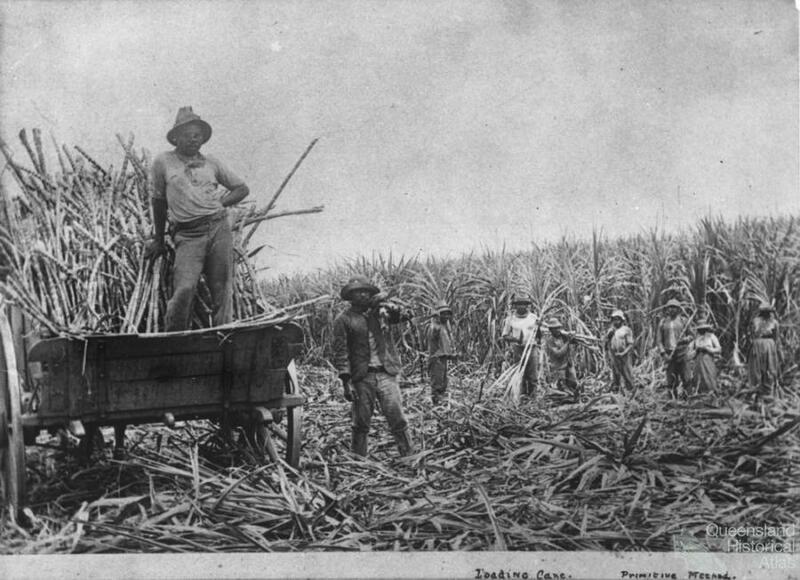 Between 1863 and 1904, 62,000 South Sea Islanders were brought to Australia to work in the sugar industry. They arrived at several major ports along the eastern coastline including Brisbane, Maryborough, Bundaberg, Rockhampton, Mackay, Bowen, Townsville, Innisfail and Cairns. One of the most controversial aspects of the labour trade centres on how Islanders were ‘recruited’. 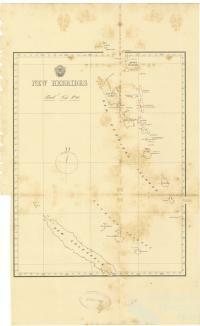 Official documentation conflicts with oral history accounts that have been passed down through generations of South Sea Islanders. 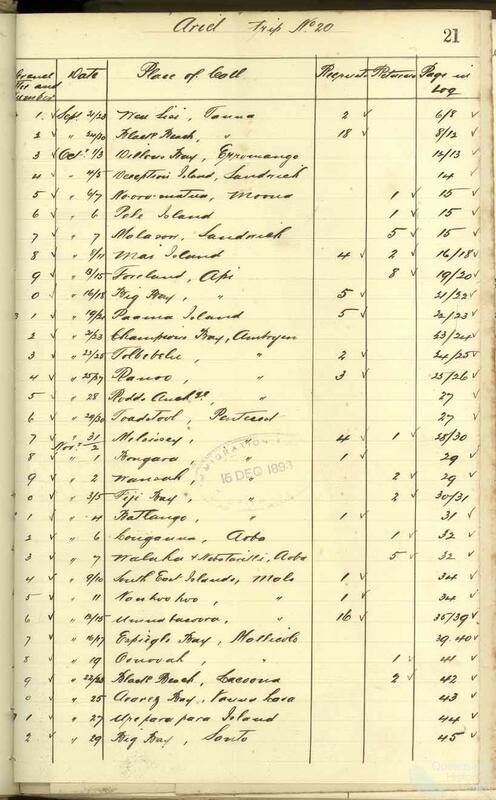 Were they forced, coerced, deceived or persuaded to leave their homes and travel by ship to Queensland? The answer to that is that all these methods were used. Some Islanders were kidnapped or ‘blackbirded’ by Europeans who used their knowledge of Pacific Islander societies to trade and coerce women, men and children to leave their home islands. Older generations recall stories of ancestors being sold like cattle at the shipping docks in Queensland. When the first Islanders arrived in 1863 there was very little legislation to protect them. 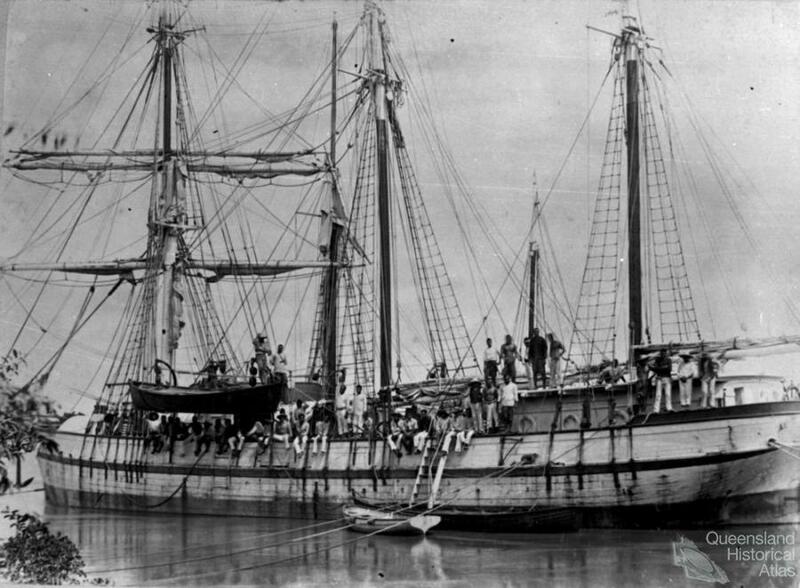 The Polynesian Labourers Act 1868 was introduced to regulate the labour trafficking of Pacific Islanders into Queensland. Its aim was to stop the practice of kidnapping of Islanders or ‘blackbirding’ and the ill treatment and exploitation of Islanders on the boats and on the farms. None of our ancestors came to Queensland with full knowledge of how it would affect their lives. The trade in Pacific Islander labourers was formalised with the introduction of the Pacific Labourers Act 1880 (Queensland). 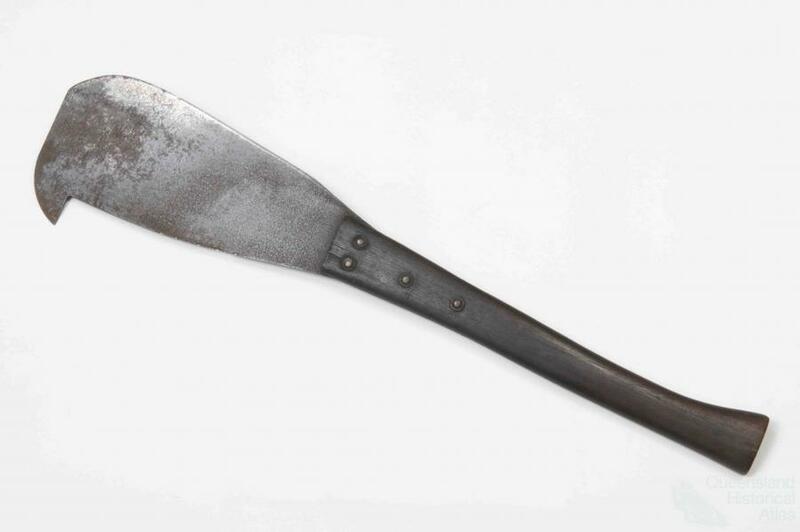 This provided a monitoring system for labour vessels and indentured labour. It aimed to regulate and control the process to ensure paid labour for Islanders but maintained financial benefits of a slavery system. Essentially cheap labour was provided by coerced workers who could not resign. 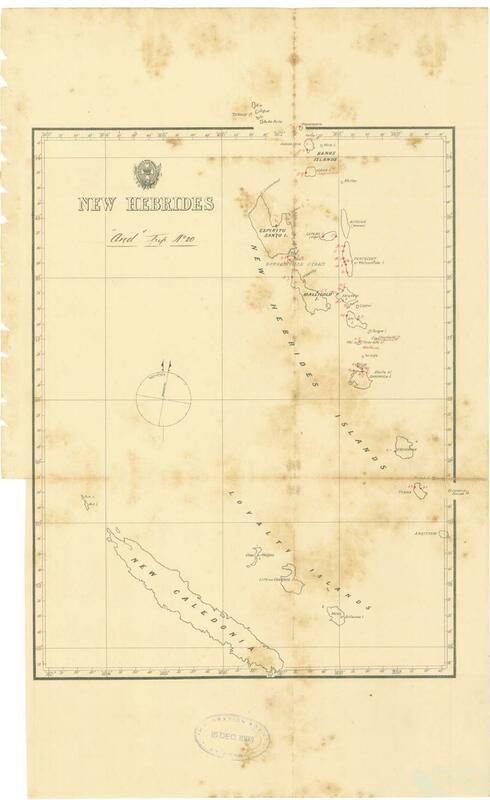 South Sea Islanders were restricted to working in the sugar industry by legislation that stated they had to work within a 30 mile limit from the coastline. Regardless of how they were recruited the exploitation of Islanders was widespread. 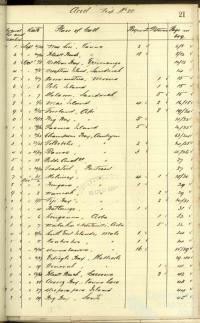 A few Islanders worked under formal contracts established by the Queensland Master and Servants Act 1861. All were controlled by draconian legislation. Islanders were made to sign three year work contracts. Many could not read and a signature was a fingerprint. While white labourers earned £30 each year, Islanders were paid in weekly rations, with their wage of only £6 per year paid at the end of the contract. The Queensland sugar industry was literally built on the backs of South Sea Islanders. Men, women and children had to work long hours and in harsh conditions akin to slavery. They were required to clear heavy rainforest and scrub, and to plant, maintain and harvest the cane. Despite the controls over their lives, Islanders maintained their cultural connections even while working as indentured labourers. South Sea Islanders usually lived in some kind of barracks style housing on the sugar cane farms. Some preferred to live in traditional grass hut style accommodation, with separate sleeping arrangements for women and men. The village layout was similar to those in the islands, families together and single men’s quarters separated away from the families. South Sea Islanders were vulnerable to disease and poor health care in Australia. In their new home of Queensland, South Sea Islander men, women and children were exposed to people who carried diseases that the Islanders would have had little or no prior contact with in their home islands. As a consequence Islanders caught European diseases. Combined with a culturally and nutritionally inadequate diet of beef or mutton, potatoes, bread, tea and sugar, this was a recipe for an Islander health disaster. The Islanders had to work while sick and because there was little or inadequate health care, many died in the paddocks or at the farms. The result was a very high death rate for South Sea Islanders compared to that of Europeans. Australian South Sea Islanders were segregated from mainstream society and excluded from services. Eventually, in the 1880s hospitals were set up for South Sea Islanders in Maryborough, Ingham and Mackay. Some hospitals created separate ‘Kanaka’ wards. The trade in Pacific Labour drew criticism from many sectors. But it was the White Australia Policy and the desire to protect jobs for white Australians that finally ended the Labour trade. In 1901 the Labour Trade formally ceased and the Australian government took steps to deport South Sea Islanders to their home islands. This was impossible and undesirable for many, and resulted in more hardships and discrimination for those who had made Queensland home.